Where will your day take you? On trail? Through the bustling city streets? Perhaps over your favorite running path? 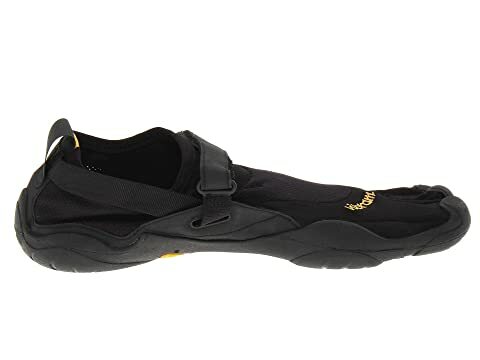 Wherever it leads you, trek freely in the adventure-bound versatility of the KSO from Vibram FiveFingers®. 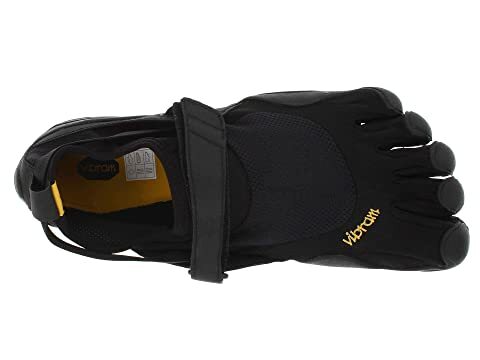 Ideal for running, fitness, water sports, yoga and pilates, on- and off-road adventures, as well as everyday casual wear. Thin, abrasion-resistant stretch polyamide and breathable mesh upper materials. 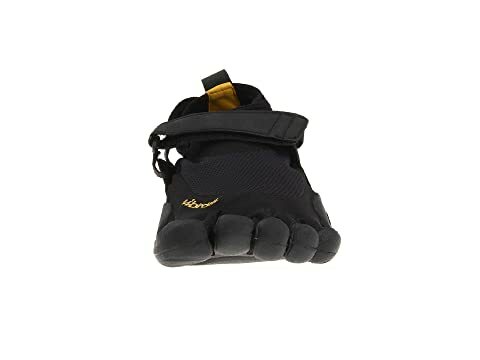 Individual toe pockets promote muscle strengthening in the feet and lower legs, as well as improve balance, agility and range of motion. 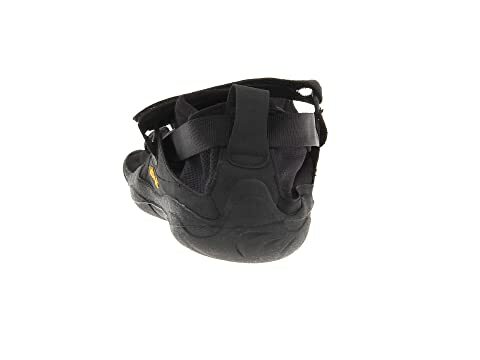 Adjustable, hook-and-loop Hypalon® strap wraps the top of foot through the heel for a secure fit. 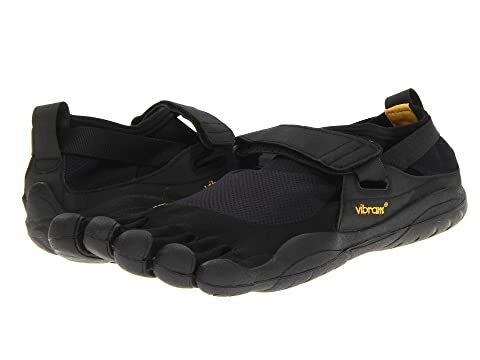 2mm, antimicrobial, microfiber footbed offers light underfoot cushioning. Non-marking, 3.5mm Vibram® TC-1 Performance rubber provides exceptional underfoot feel without compromising abrasion resistance. 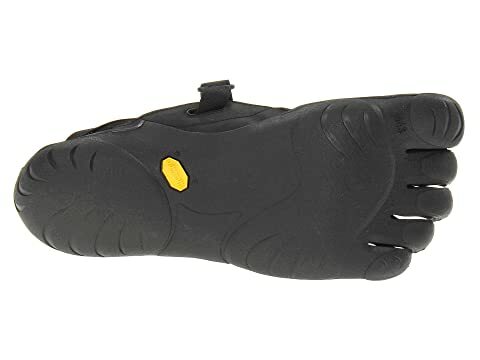 Durable outsole design helps protect feet from hot surfaces and rugged terrain, while thin razor-sipping heightens flexibility and slip resistance over wet and dry surfaces. Product measurements were taken using size 43 (US Men's 9.5-10), width D - Medium. Please note that measurements may vary by size.